Happy New Year. All the very best for 2007. 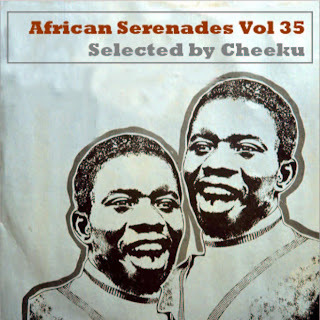 And to welcome in the New Year here's another African Serenades for your listening pleasure. Rare and unavailable tracks compiled by Cheeku. Enjoy. Thanks again! Happy 2007 to all visitors to this great (revamped - liked old format and like new format too) site! Thanks for these serenades! Much appreciated.. and a happy new year too! Thanks Cheeku, thanks Matt! Another excellent compilation. Brother-in-law, a dedicated LFC supporter, was especially happy with the Liverpool track. Any extra info you could give me about that one? Is it possible for you to tell us from which countries each track comes from, and from what year? A great collection but gone--any chance for a repost?